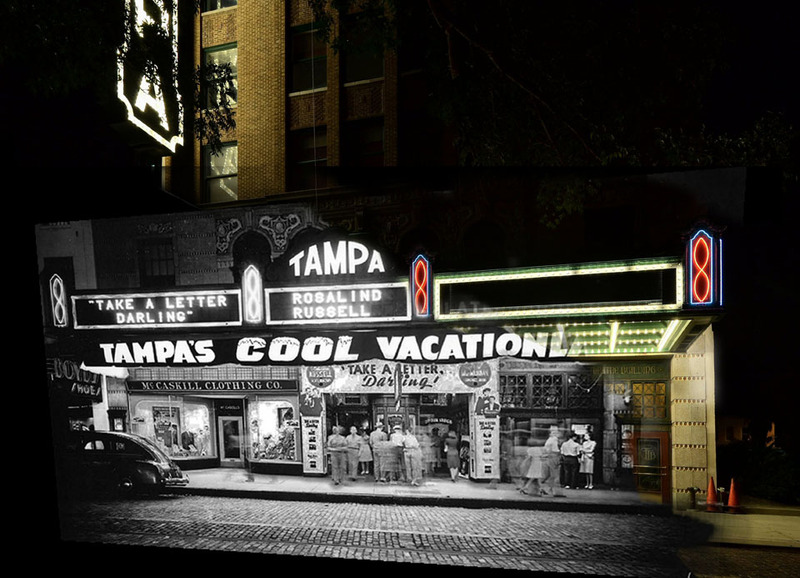 Here is another re-photograph of Tampa Theatre by Ron Ciervo. The movie being played is Take a Letter, Darling. Its premise is that a struggling male painter takes a job as a secretary to a female advertising executive. While working to obtain an account from a tobacco company, they end up falling in love. Cool; literally. I never noticed the “figure 8” shaped neon lighting on the marquee on the old photos until seeing them in color on your present-day photos. I believe that the Tampa Theater was the first commercial building in town to have air-conditioning.